6 people in the world don't have access to safe drinking water. 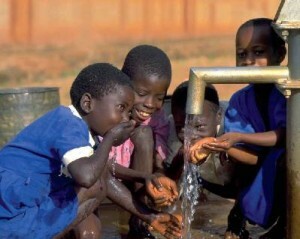 4 deaths under the age of 5 worldwide is due to a water-related disease. $10, you can fix that for one person... for ten years! doesn't just save lives, it changes them... forever. 08/08/11 Robin Tweedie-Walker $50.00 Who says people that listen to rock music are uncharitable ruffians ! Way to go Laura. 08/08/11 Jonny March $50.00 Feeling generous ;) go laura! 07/27/11 Ian Phillips $30.00 Good luck, Laura. I'm proud of what you're doing!